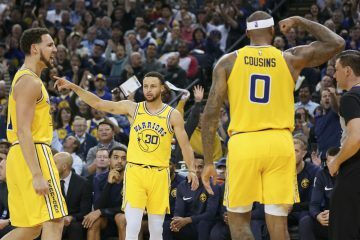 Game 1 of the NBA Finals between the Golden State Warriors and Cleveland Cavaliers had an especially memorable ending in both regulation and the ensuing overtime. J.R. Smith rebounding a missed George Hill free throw and dribbling towards half court thinking the Cavs were ahead will assuredly become one of the iconic sequences of Finals lore. 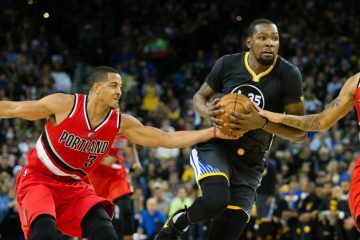 Overtime arrived at least partially as a result of that mental error, and the Warriors dominated the extra time allotted. As that overtime was nearing its conclusion, Shaun Livingston attempted a jumper so as not to commit a shot-clock violation. Tristan Thompson took offense to this, and it appeared as though he swung an elbow at Livingston’s head has he contested the shot. Thompson was immediately assessed a flagrant foul 2, which resulted in his ejection from that game. That immediately led to a scuffle between Thompson and Draymond Green, and Thompson shoved the ball in Green’s face during the altercation. Kevin Love left the bench area during all this commotion, which raised concerns that he could potentially be suspended for game 2. It is against the rules for players on the bench to cross the line between the court and the sideline area if they aren’t checked into the game. 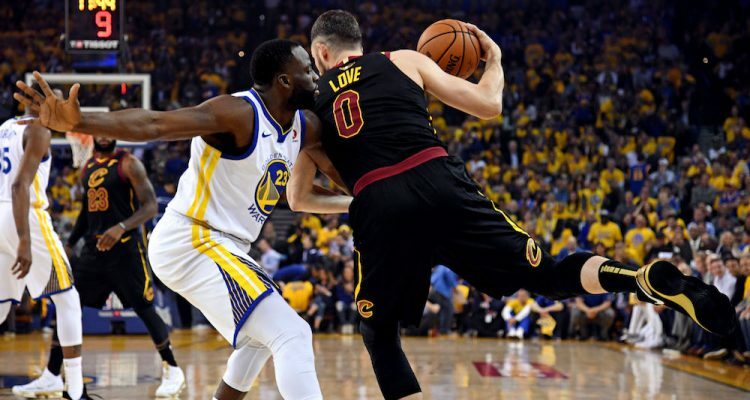 Yahoo Sports has reported that Love will not be suspended for committing that violation in the closing seconds of overtime. It is still unclear what type of discipline Thompson will receive from the league regarding his actions if any. Love certainly didn’t do anything egregious. Had he been suspended, it would have been upholding a rule meant to keep order in case things begin getting out of hand on the court. The Finals is better when all players possible are available. Obviously, if you fight or commit an unnecessary foul there should be consequences, but Love didn’t really do anything seriously wrong. 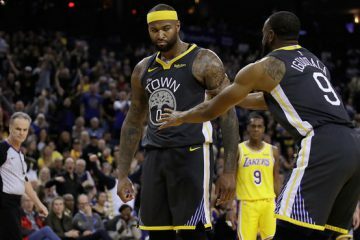 Whether the league would have been as lenient with a player possessing a more negative reputation is an entirely different argument, though, and one definitely worth having.